In Kailahun, Sierra Leone, the poorest region in the world's poorest country, women are trying to effect change on the issues that matter to them – maternal mortality, girls’ education, teenage pregnancy, literacy rates for women – by entering political office. One in eight Sierra Leonean women die in childbirth, the majority of women are illiterate, and just one in five girls finish secondary school, according to the UN Children’s Fund's (UNICEF) 2009 State of the World’s Children report. “We [women] have to advocate for change in the issues that affect us," said Member of Parliament for Bombali district, Marie Jalloh, one of Sierra Leone’s 17 female parliamentarians. "And we need to take informed decisions about our lives – our health, our children’s education, economic empowerment of women. The best way to do this is by getting into power." The programme targets all levels of power, from ward committees to district councils in Kailahun in the east and Koinadugu in the north, aiming to dismantle barriers women face in entering politics. Oxfam staff teach women to read, train them in public speaking and campaigning techniques, and try to ease fears among traditional chiefs and local politicians that women in power pose a threat. Women also have to overcome political rules that often block them out. In Sierra Leone candidates standing for a political party must be a longstanding member and have contributed financially to the party, regularly attend meetings and pay local taxes, according to Koinadugu women’s group chairwoman, Haja Bintu Mansaray. These criteria automatically bar most women from engaging, as they are too busy running the household to attend meetings, and their husband will pay taxes in his own name, she said. Oxfam and local NGOs encourage women to pay local taxes themselves and show women ways to manage their time so they can attend meetings. In Kailahun Oxfam has given some women’s groups rice milling machines to free up time by unleashing women from hours of manually pounding grains. Candidates choosing to run must also first be accepted by their political party’s electoral committee, which is not easy, according to Florie De Jager Meezenbroek, governance programme director for Oxfam in Sierra Leone. “We have found in Kailahun and Koinadugu, where political parties want to gain ground, women can be seen as too risky as they aren’t viewed as vote-catchers,” Meezenbroek told IRIN. “Men are trying to change their attitude but we still have a lot to do…especially in rural areas, where men are still threatened by the presence of women...they think it takes power away from them,” MP Jalloh told IRIN. 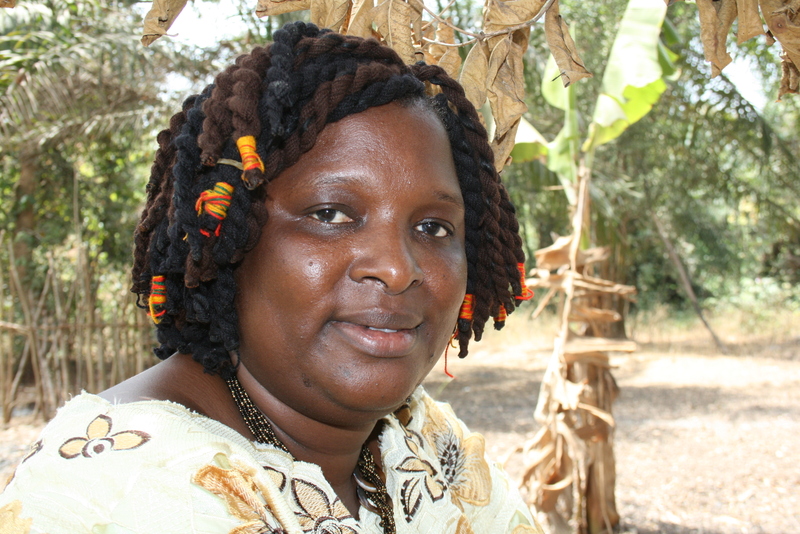 In the run-up to her election as MP for the All People’s Congress in Bombali, members of the opposition parties used every tactic to knock her out of the campaign, she says. “The local authorities used all their power to eliminate me from the race. Dogs came, vehicles came, they tried to kidnap me…but I had connections and told everyone what was going on,” she told IRIN, explaining how opponents set dogs on her house to try to intimidate her. Eight of the 17 women in the 2007 Kailahun race were independents. And Meezenbroek said she knew of no woman who stepped down due to pressure. Results of the 2007 poll were mixed: Eight women candidates were voted onto the district council in Koinadugu, which previously had no women, while in Kailahun the number of female winners dropped from seven to three. The three women who were voted in occupy more serious, strategic roles, she added, which shows women are gaining ground.